Google and the US Justice Department are close to reaching a legal settlement over the Internet giant's acquisition of flight data company ITA Software, The Wall Street Journal reported Thursday. The proposed settlement would avert a court challenge to the $700 million purchase and would allow for some government anti-trust monitoring of Google's operations for the first time, the newspaper said. The Journal, quoting "people familiar with the matter," said the settlement could be just days away although it could be delayed because of the possible US government shutdown at the end of the week. The newspaper cautioned that outstanding issues could cause the talks to founder, sending the matter to court, or Google could abandon the acquisition. The proposed settlement calls for Google to provide a commitment that it will continue to provide ITA's services to online travel competitors "under fair and reasonable terms," the Journal said. A compulsory licensing system would be introduced to ensure that Google does so and it would be monitored by the government, the newspaper said. 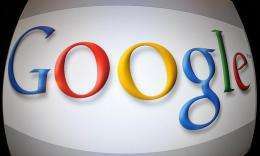 Google would also be required to construct a "firewall" that would prevent it from having access to competitors' proprietary software code which runs on ITA servers, the Journal said. Several online travel sites, including Expedia, Kayak and Travelocity are seeking to block the Google-ITA deal, claiming it would give Google too much control over the lucrative online travel sector and lead to higher prices and fewer choices for consumers. ITA Software, a 500-person firm founded in 1996 by Massachusetts Institute of Technology computer scientists, specializes in organizing airline data, including flight times, availability and prices. ITA flight data software is used by many US airlines and a number of leading online travel sites, including Expedia's Hotwire and TripAdvisor, Kayak, Orbitz and Microsoft's Bing search engine. Google has said the ITA acquisition would help it create new tools that will make it easier for consumers to search for travel, compare flight options and prices and drive more customers to online travel agencies. The Mountain View, California-based company has said it has no plans to sell airline tickets or set airfare prices. Google has drawn increasing government scrutiny as it has grown from a scrappy startup into the dominant player in Internet search. The US Federal Trade Commission reached a settlement with Google last week over Google Buzz, the social networking tool rolled out last year which spawned a slew of privacy complaints. Under the settlement announced by the US regulator, Google is required to implement a comprehensive privacy program and will be subject to independent privacy audits every two years for the next 20 years.